Please note that the CityU-contracted insurance plan does not include general medical consultation. Students holding a Hong Kong Identity Card are eligible to use public hospital services at the local rates. Besides, the Young Chung-Yee Health Centre provides general medical consultations services to students on a fee-paying basis. The premium of the 2018-19 CityU-contracted insurance plan for non-local students is HK$254. Except the basic package, you may opt for additional protection at your own discretion. Voluntary Top-Up Plan is available for an additional premium HK$600. Students who would like to enroll into the Voluntary Top-Up Plan may contact GSO via gsoins@cityu.edu.hk by the compliance deadline. All new non-local students are required to indicate their insurance enrolment decision during the online pre-enrolment process, whether they wish to enrol in the insurance plan or not. Continuing students will be asked to indicate their insurance enrolment decision through AIMS before the start of each academic year. 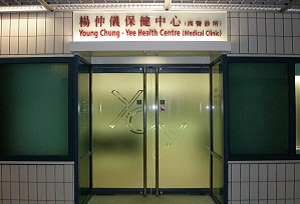 The Young Chung-Yee Health Centre provides general medical consultations and dental care services to students on a fee-paying basis. Students can visit public or private hospitals and clinics off campus. Fees vary among hospitals. Since the CityU-contracted insurance plan does not include health and medical insurance, you are strongly advised to take out health and medical insurance that will meet your specific need. Students holding a Hong Kong Identity Card are eligible to use public hospital services at the local rates. For detailed information, please visit the website of the Hong Kong Hospital Authority at www.ha.org.hk.